Obama on Tax Inversions: "It's not fair." Photo courtesy of CNN. 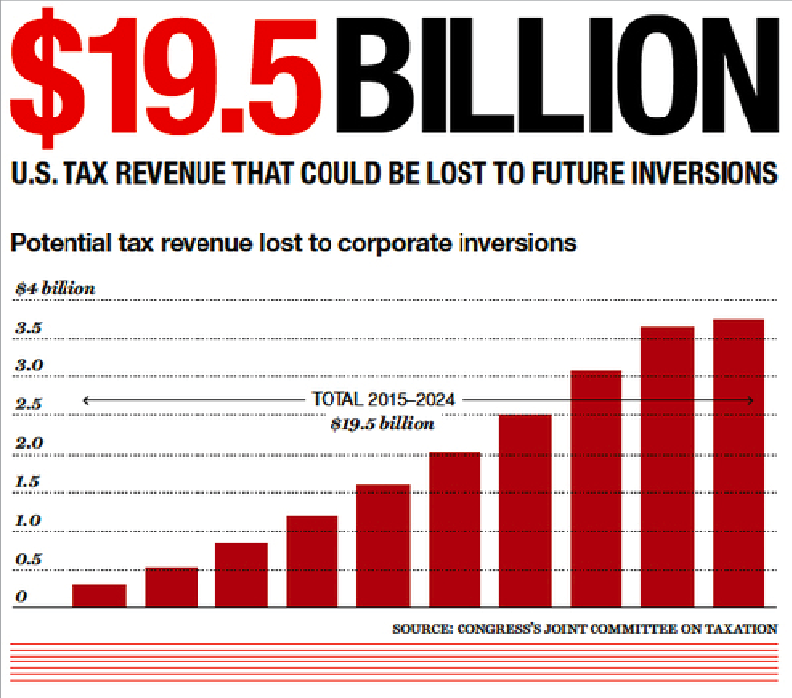 Tax inversions have become the hottest new trend on Wall Street in 2014. When tax inversion deals first started becoming prominent in 2011, they accounted for 1% of US outbound deals. Now, they account for 66% of outbound deals. 22 such deals have occurred since 2011, most of which in the pharmaceutical space. The main motive behind this strategic move is to avoid the United States’ 35% corporate tax rate on any profits sent back to America. Tax inversion has become popular because it allows US based companies to lower their overall tax bill by buying a foreign company based in a country with a lower tax rate, and moving its headquarters to the foreign country. A string of billion dollar deals were announced this year with the purpose of tax inversion, including Burger King’s acquisition of Canadian based Tim Horton and Walgreen’s acquisition of UK headquartered Alliance-Boots. But these deals have brought on severe criticism from Congress, with President Obama going even so far as to label them “unpatriotic” and “immoral”. Obama has called for a complete halt to tax inversion deals, and he wants to pass a bill through Congress to this effect. However, the passing of the bill seems unlikely given the presently divided Congress. However, in September this year, the Treasury department came out with a series of rules to target some of the worst abuses of inversion and make it less profitable. These include targeted measures to prevent hopscotch loans, a financing method used by pharmaceuticals acquiring foreign companies. To define it easily, hopscotch loans are a way for US based companies to get around dividend taxes by distributing earnings in the form of a loan to a foreign company. This loan money completely bypasses the IRS and is saved from the 35% US corporate tax. However as part of new rules, such loans will be treated as dividends, and therefore taxable by the IRS. Taxing such loans potentially makes inversions less attractive to drug makers like AbbVie and Medtronic, both of which have significant profits overseas. An example of how hopscotch loans have been rendered useless by the recent Treasury rules would be the fallout of AbbVie’s proposed $54bn merger with Irish drug maker Shire. This merger fell apart because with Treasury’s recent set of rules, AbbieVie was losing a significant amount of savings that they had hoped to achieve through a tax inversion deal. But prior to Treasury’s announcement in September, President Obama along with other prominent Democrats publicly called out supermarket chain Walgreens for trying to invert to the UK after it acquired Alliance Boots for $5.27bn in August 2014. Democratic Senator Richard Durbin in a letter to Walgreen’s CEO said, “I believe your customers are deeply patriotic and will not support Walgreen’s decision to turn its back on the United States.” As a result of this very public reprimanding, Walgreens remained headquartered in the US, forgoing savings of $4bn over 5 years.